The only real desert in Europe lies in the barren interior of the Costa de Almería and is a real surprise. The sun shines for over 3,000 hours a year and it hardly ever rains (less than 240 mm annual rainfall). Temperatures range from -5 to 48 °C! Nature lovers, hikers and people who are looking for a big, exotic American-type scenery, fall in love with this wild barren landscape of eastern Andalusia. That's right, America! The dusty badlands between Tabernas and Gador bring to mind dark tales from Arizona, California, and the Wild West. The desert, of approximately 280 square kilometers, is a protected natural park and has attracted film crews since the 1950s. The unique landscape has brought wealth and fame and made the area known worldwide. The Andalusian province of Almería has staked its claim in the international film history, as a cinematic location. 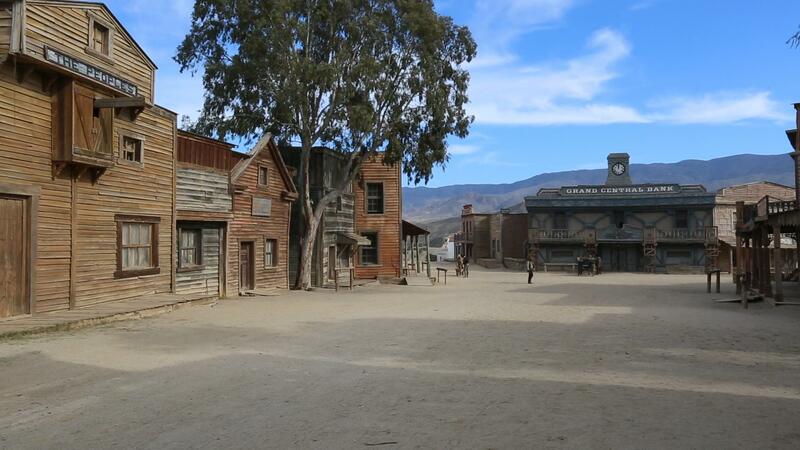 One of the most important venues is the desert of Tabernas, where many film sets are constructed. The film village of Fort Bravo is picturesquely situated by a canyon and is only accessible by an adventurous ride through a dry valley, where you pass the border post, pay the entrance and park at the gates of the Fort, which welcomes you to the movie village. You really have to rub your eyes a little to believe that you are here in Europe. The cacti, the vastness of the terrain, the dazzling light that bathes the scene and the ghostly tense atmosphere of the film village makes the trip a memorable one. 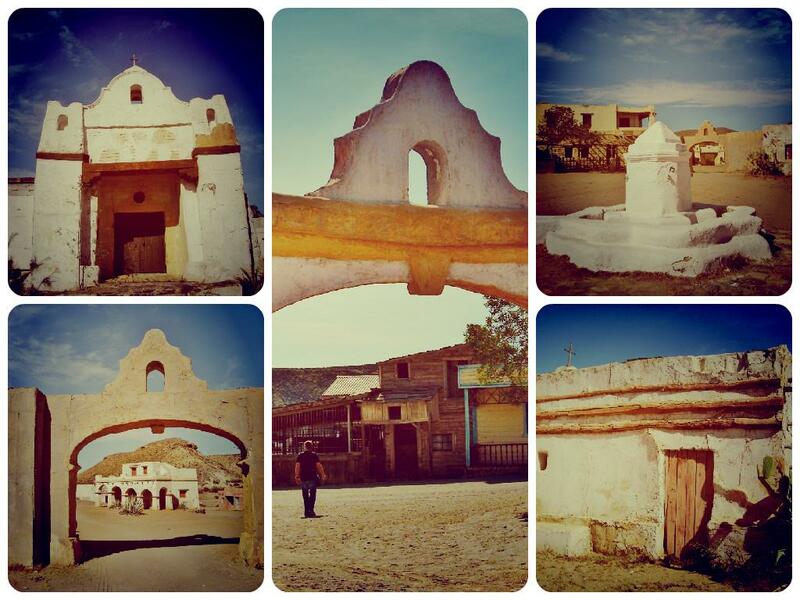 Fort Bravo is the oldest of the 14 Western villages that were built for filming here, and it's still used to this day. The two other Western towns are Oasys and Western Leone, just a few miles from Fort Bravo. They are pure tourist attractions. Many great directors have filmed here; westerns, war films and fantasy adventures have all been filmed in the Southeastern corner of Spain. Production costs were often cheaper than in the US and the desert is close to all the amenities you need as a film crew. Easily accessible via highway A-7 and A-92, close to the airport and the port city of Almeria. In 1989, the Andalusian Regional Government issued a decree that the landscapes around Nijar and Tabernas should be protected for the use of the film industry. 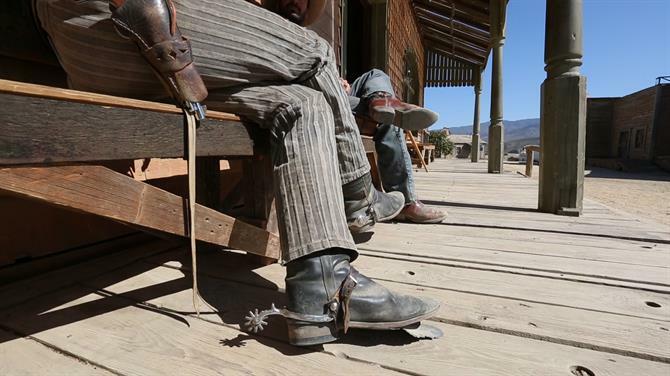 The famous spaghetti westerns of the 60s and 70s are almost invariably originated in Tabernas. This land has seen some of the greatest legends of the silver screen, such as Charles Bronson, Claudia Cardinale, Brigitte Bardot, Clint Eastwood, Steve McQueen, Yul Brynner, Faye Dunaway, Sean Connery, Bud Spencer, Terence Hill, Gregory Peck and Harrison Ford, they have all reenacted their stories in the Andalusian dust. 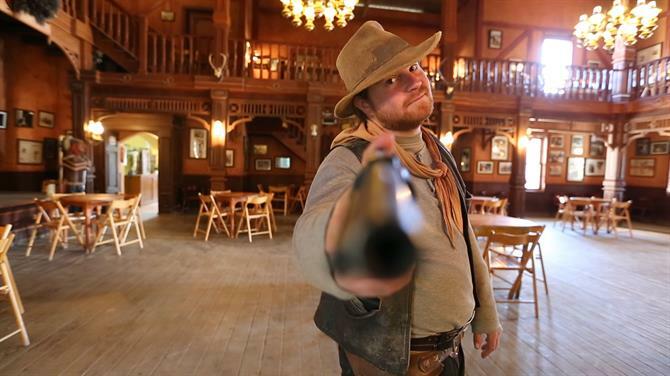 All the greatest gunslingers in film history have filmed here in Spain. Under the direction of the Italian cult director Sergio Leone, spaghetti westerns emerged as the Dollars Trilogy starring Clint Eastwood: A Fistful of Dollars and For a Few Dollars More (1965) or the classic; The Good, the Bad and the Ugly from 1966. Those who know the saloon scenes from Karl May movies will have so many eye-opening experiences in the saloon of Fort Bravo. You may even see his whiskey glass sliding along the counter as in the old movie. What many do not know, that one of the main Indiana Jones movies, The Last Crusade, was filmed in Almería. The dry Ramblas witnessed the actors Harrison Ford and Sean Connery in heavy armor battling against the Nazis, as were the scenes of Petras. The really big breakthrough for the Andalusian desert as a film set came with the filming of Lawrence of Arabia with Peter O'Toole. This exotic desert landscape in the middle of Europe inspired many filmmakers who now have moved their projects to the parched lands of Andalusia. To date, the lonely villages, hilltops and dusty desert landscapes of Tabernas are used as venues. Even commercials for car industry were filmed here, like the new Peugeot Partner 2015 spot. A list of all the films made at Fort Bravo, about 600 in total, can be found on the website, set amongst the colorful backdrop of the villages, (in Spanish and English). The wild country that is located just 30 minutes from the fantastic natural beaches of Cabo de Gata in the Mediterranean, has created a new income for the locals, who have readily taken to the film industry. Every year hundreds of Andalusians from the surrounding villages work as extras, earning a little pocket money. In 2014 Ridley Scott filmed his epic, Exodus, where 2,000 dark-haired amateur actors were sought for scenes, such as the migration of Jews under the leadership of Moses. Between 80 and 100 euros could be earnt everyday. Some extras love their roles so much that they seem to grow into in real life. Rafael, from the neighboring town of Tabernas, has worked on the sets of Fort Bravo for over 20 years as a full-time movie cowboy. He has worked as a coachman, whipping boy, bank robber and sheriff. He provides visitors with live saloon enactments. Rafael can ride, shoot, spin his gun and can look Indian, Mexican, or as a gun slinging cowboy. He can be found amongst the scenery of the Pueblo Mexicano (Mexican village), where he tells anecdotes of movie scenes and his acquaintance with great Hollywood stars with whom he has worked. He had his last major supporting role in Lucky Luke (2004). 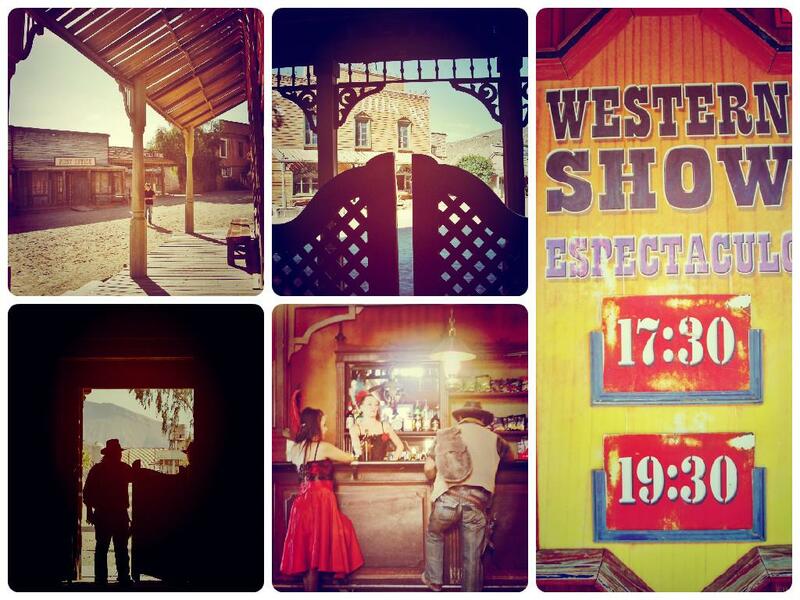 If you visit the fort, you should inquire at the entrance as to the timings of the Western shows. They are really funny, directed by drama students or even the likes of Rafael, who have dedicated their lives to the local film industry. Enactments take place in the dark saloon amongst the old wooden tables, or at the bar ordering a whiskey, they have become an integral part of a spectacle in which we cannot distinguish between reality and show. The extras join in to make the enactments more exciting, there are shootouts with blanks, which are very loud, well-staged scuffle, real can-can dancers and hilarious barmaids who embody the hard-hitting survival of the Wild West. The nice thing is, you will not be ignored as a spectator, but included by the actors in the quarrels played in an entertaining way. Many a Father has landed through the swing doors on to the dusty sun-drenched street. The best time to visit during the winter is around midday, when it's warmer. During the summer months, early morning until mid-day and from 6pm in the evening. It's very hot in Almería and the thermometer quickly reaches here the 45c degree mark. 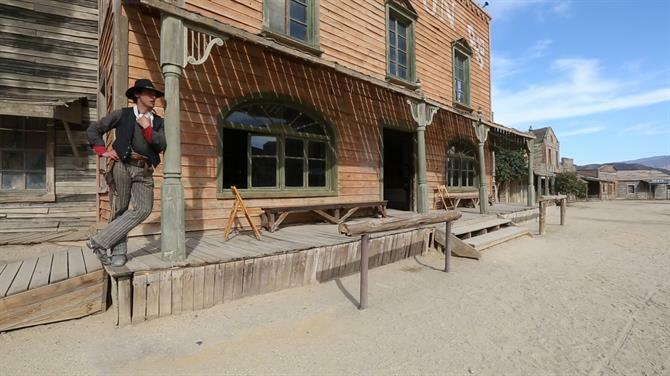 You can get a drink at anytime in the movie village saloon or you can buy something to eat and drink in the restaurant. Outside the village, the closest restaurants are back in the town of Tabernas, around 2 km away. This place also has quite its own Andalusian Wild West character. 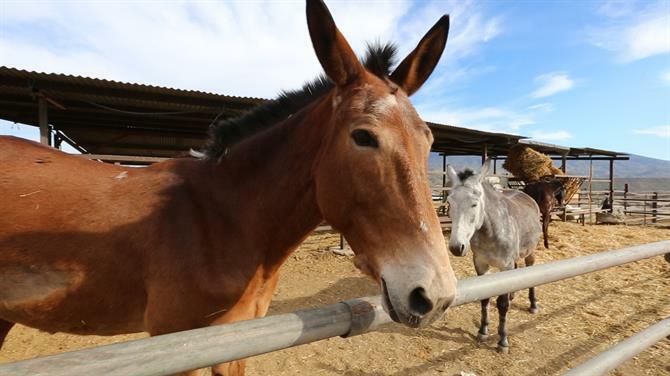 Fort Bravo also offers horse riding, and riding tours are organized through the desert. This should arranged by phone before visiting. Remember a sun hat, lots of water, good shoes and sunscreen. Mobile reception is not always possible. For those wishing to explore on their own, you should leave a message with your phone number clearly visible in the car when you leave. Take a fully charged mobile phone and it's always best to tell someone of your proposed route. Remember this is a desert, conditions are extreme in the summer months. Plan accordingly. The only true semi-desert in Europe, Tabernas is reminiscent of Arizona or Utah and has played host to numerous westerns and adventure films.